This part of the guide is all about initialisms and acronyms – we’ll cover everything from CCSS (or should that be SSCC? ), to EHIC, CNS, and RIB. You’re in for a treat. Before we jump into the wonderful world of initialisms associated with social security and healthcare, it’s important that you've gone through the process of obtaining your ‘certificat de résidence’ and national identification number. You read that right – you need to do some paperwork before you have the dubious pleasure of doing more paperwork. And you thought the physical move itself would be the hardest part, huh? The good news is that we’ve got you covered on this part of the journey as well. 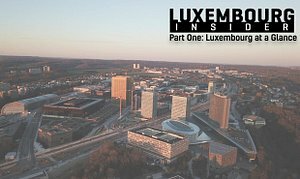 Just check out part two of our Luxembourg Insider guide, if you haven’t already (you rebel, you!). You will find a link to it in the link box at the bottom of this article, and the information you need is under the heading “Who can work here? Requirements and procedures.” Now, if that’s not a title that gets your juices flowing… I guess you are a pretty normal, healthy, person really, but it’s important. Off you go, and I’ll see you back here in a wee bit. So by now you’ve got your national identification all sorted (right? Surely you aren’t rebellious enough that you read right past the instructions above? ), and it’s time to make sure that you are covered should anything go wrong. Let’s dive into a couple of initialisms, shall we? The acronyms will come later – saving the best for last, you know? CCSS stands for ‘Centre commun de la sécurité sociale’, but in English they prefer turning things on their head a bit with ‘Social Security Common Center’ (the American spelling of ‘center’ is all their doing, not a mistake on our part). These guys are pretty important as they coordinate data and contributions collection for the national health fund (CNS, more on that below), sickness funds, the national pension fund, and so on – essentially all of the elements that make up Luxembourg’s generous social security system. 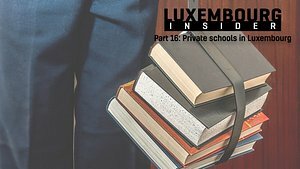 Anyone working in Luxembourg must be registered with CCSS and pay contributions. Assuming that you are here as an employee of a company or some other entity, it is your employer’s duty to register you with CCSS – so you should not have to do anything. It is also their duty to inform CCSS should your employment end. This means that the majority of you will not have to do anything to enrol with CCSS, but things are slightly different if you are self-employed. If you are self-employed or working as a freelancer, it is your duty to register yourself with CCSS. This is a comparatively more complex process and requires that you first obtain the necessary permits to operate a business or as a self-employed person. The actual registration with CCSS is not particularly difficult, however, as the process of registering as self-employed requires that you collect the final documentation from the CCSS offices. Now, this warrants an entire article of its own, which will come later in our series. 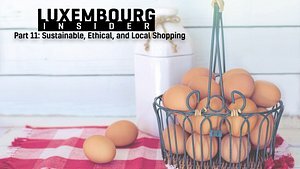 For the time being, however, a good place to start is to contact the House of Entrepreneurship (details in the link box below). Their staff will provide you with all of the forms you need to fill out and are more than happy to guide you through the process. CNS stands for ‘Caisse nationale de santé’, which is the national health fund - essentially the NHS of Luxembourg. You will be enrolled with CNS once you start paying into CCSS, so again you will not actively have to register with them. Hopefully you will not have to deal with them too much, but they are the people you turn to if you fall sick. Getting issued with a EHIC is very straight-forward – assuming that you are all set up with CCSS, all you will have to do is follow the link in the link box below and fill out a short form. 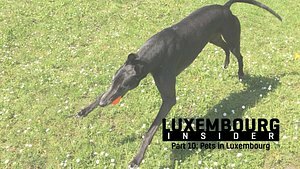 Luxembourg’s medical system is slightly different to for example the UK’s NHS, in that (in a majority of cases) the patient has to pay upfront and send in a reimbursement request. If you visit a general practitioner, for instance, you will be charged a consultation fee in addition to any costs that may be associated with the specific treatment you require. Your doctor will provide you with a breakdown of the services rendered, and you can usually either pay on the spot or through invoice. Do note that CNS does not always cover 100% of medical expenses. A good rule of thumb is that your refund will amount to 80-100% of the total, and the actual percentage will vary depending on what it is you are being treated for. Refunds for dental and ocular care (such as glasses) also vary – if you want to be on the safe side, it is a good idea to call CNS before seeking non-urgent care. You may also want to invest in additional private health insurance, more on which below. If you need time off work for medical reasons, you will need to have a medical certificate issued by your GP or other doctor as relevant. Your doctor will issue you with two 'declarations of incapacity', one of which (the original ‘part 1’) you must send to CNS through the address above. The second part should be sent to your employer. It is the employer’s responsibility to declare any incapacity for their employees on a monthly basis, which is then used to calculate the financial benefits which will be paid to the individual employee. 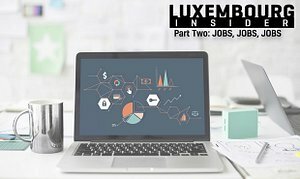 If you have moved here with your partner and they do not yet have a job in Luxembourg, they will gain access to social security through you. This is not an automatic process, and you have to send a request to register them to CNS ‘service Coassurance’. 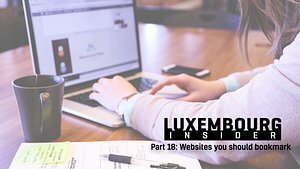 If they have not previously been insured in Luxembourg, the documentation required will depend on the country through which they were previously insured. If they were personally insured (i.e. not as a dependent or co-insured) they will have to provide a form called E104, which is issued by the given country’s health insurance fund. If they were co-insured as a dependent, they will need a certificate of co-insurance from the country’s health insurance fund – the name for these will vary, and you should contact them directly to order one if you are unsure of the name in your specific country. 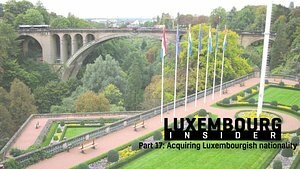 These are countries with which Luxembourg has a bilateral agreement that covers health insurance. The process is essentially the same as above, but the name of the form itself will vary – though CNS says that they will generally end with “104”. Again, you should contact the health fund with which you were insured to order your form. If your partner was co-insured as a dependent, you will need to provide a certificate in evidence of this, exactly the same as for the above countries. If the country in which your partner was last insured is not listed above you will need to contact CNS directly to get the proper forms to fill out. They will send you a sworn statement which must be filled out by the spouse/partner to be co-insured. 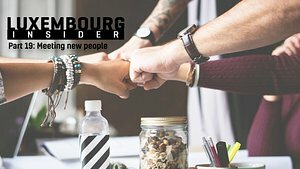 Any child born in the Grand Duchy will automatically be enrolled with CNS through their parents, and no action should be required on your part. If you move here with your children you should contact CCSS and CNS directly to get them registered. Co-insurance of a child with one of the parents is possible up until the age of 29 (inclusive) under the condition that they are not in employment and making the minimum wage or more. They can also be co-insured after the age of 30 under the condition that they are enrolled at university, though this requires authorisation from CNS. 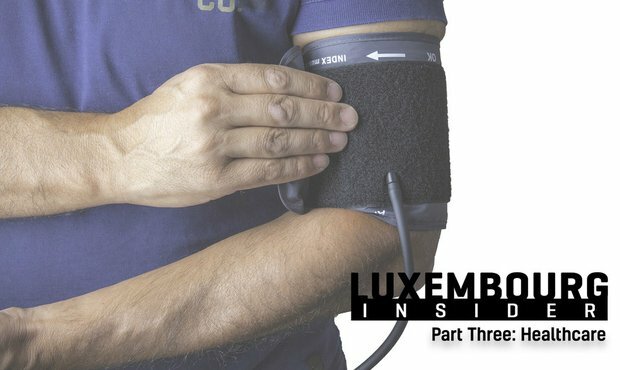 While Luxembourg’s social security is pretty smashing, it is also very common for residents to take out additional private health insurance – some sources put the figure at around 75% of the working population. Some employers offer additional health insurance as an additional perk for employees, but if yours does not you can still enrol privately. As a side note, the author of this very article is a registered self-employed freelancer (which is why I am quite intimately familiar with how CCSS works, so that paid off!) and I have chosen to enrol with CMCM for additional private insurance. That’s not to say that CMCM is the only option – you should always research the many options available to find the one that fits you best. Supplementary insurers will cover the difference between what you paid and what CNS refund for a given treatment, though of course you should check to see what exactly is covered by your insurer. Common benefits include a higher degree of coverage for eye care (glasses, contacts), dental treatment, and hospitalisation (for instance getting a private room, which is more expensive and not covered by CNS per default).